The Iberian lynx has distinctive typical characteristics of lynxes, such as tufted ears, long legs, short tail, and a ruff of fur that resembles a "beard" but they are not cats. ​Where do they live: Iberian Peninsula in southwestern Europe. Major threats: Myxamatosis as Rabbits form the main prey of the Iberian lynx. 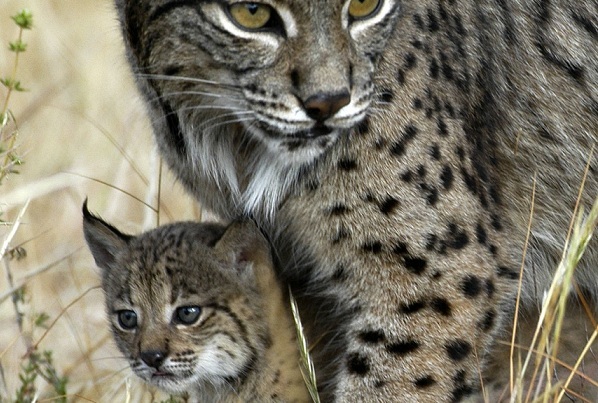 Loads of footage of these critically endangered Iberian Lynx so watch and enjoy. Learn more about the conservation programs at Barcelona Zoo - looks like an interesting course.